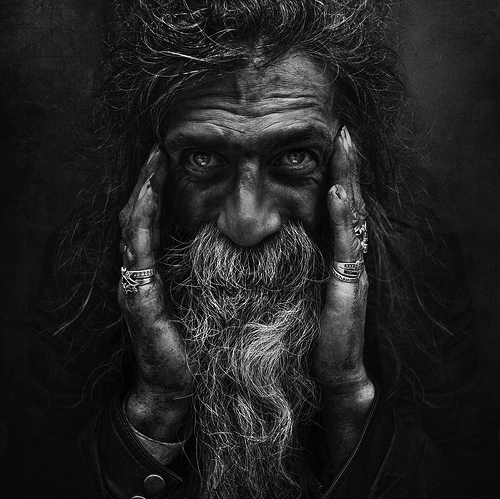 I first noticed the powerful portrait work of British photographer, Lee Jeffries, on the image and video hosting site – flickr – last year. I was immediately struck by the humanity of his work and the virtuosity of his craftsmanship. His images render the invisible visible by taking intimate black and white portraits of homeless people in London, Paris, Rome, New York, Los Angeles and Las Vegas. Through the sheer force of his talent, his work has come to the attention of the photographic world, and in the process, has brought the plight of the homeless to a wider audience. Which must be very gratifying for Lee – because the latter was his inspiration and aim from the start. Great article from Time Magazine on Lee and his work. Bravo.